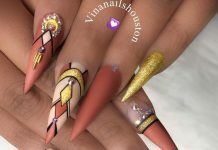 Most of the nail art posts in this website are cute, artistic and sophisticated which readers love to check out everyday. However, I think it is about time to showcase something rather radical and a special post that only a few ladies out there would love to have. 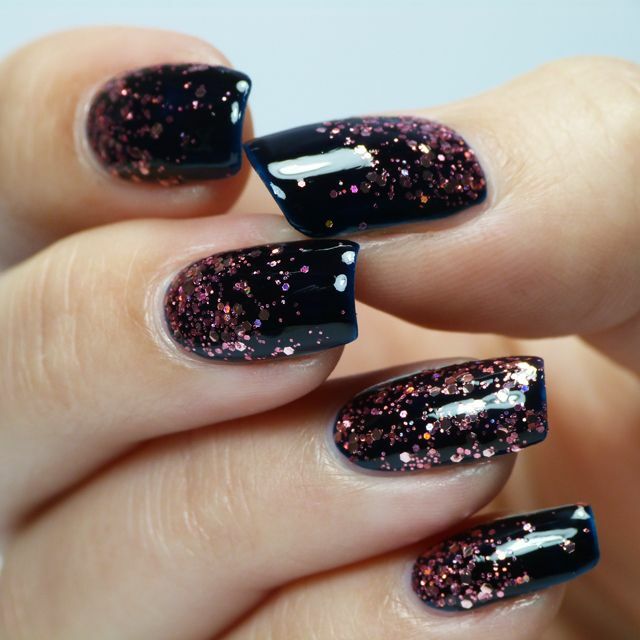 Let us try these dark nail designs for starters. Not all ladies find black or dark shades pleasing especially after the world connotes black nails to goth fashion and even witchcraft (I’m just saying). 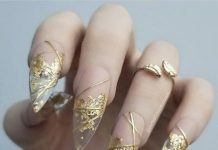 Luckily this time, we have the opportunity to shed some light to these nails and feature an awesome side which is nothing short of amazing. The dark nail art samples we have for you ladies out there today are cladded with artistic designs that change the mood dramatically. The gloomy and scary effect of the dark nails became the perfect backdrop for different amazing designs painted, sprinkled, and put on top of the nails. 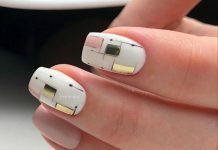 Check out the unique and rare samples of these awesome nail arts here today. The treatment for dark nails would never be the same again and with because of that, you probably know what comes next… Witches will get fabulous!